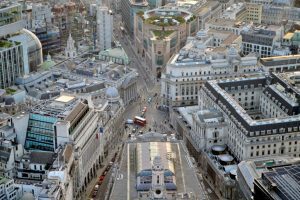 Bank Junction will remain car-free for good after City of London councillors voted to make a temporary traffic ban at the notorious intersection permanent. Only cyclists and buses have been permitted to use the six-armed crossroads on weekdays since last May, in an 18-month trial to improve safety following the death of cyclist Ying Tao, who was hit and killed by a lorry in 2015. The ban prompted outrage from taxi groups, who have lobbied for access to the junction throughout the scheme. But it appears they will be locked out for the foreseeable future after the Corporation’s Court of Common Council ruled the ban had successfully reduced casualties and will be enforced permanently on weekdays between 7am and 7pm. 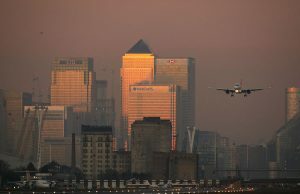 The decision on 13 September follows similar recommendations from the Corporation’s planning and transport and policy and resource committees, and a consultation that revealed strong public support for the scheme. Provisional safety figures showed casualties at the junction have dropped by 27%, with 11 recorded during the hours of the ban in the first 12 months of the scheme, compared with an average of 15 in the last five years. There has also been fewer collisions in the surrounding streets, and improvements to air quality in the area. The Court was almost unanimous in its approval of planning and transport chairman Christopher Hayward’s motion to make the scheme permanent, with only a few opposing the move, including councillor James Tumbridge who argued that more solutions should be trialled before a final decision is reached. Members only had the power to vote to approve or refuse the scheme, as adding in new conditions would trigger a new statutory consultation period. “I think we must oppose the permanency of this in order to carry out further review so that what comes before us is a choice,” Mr Tumbridge told the Court. Some councillors voiced their support for changes to the scheme, including concessions for taxi drivers, limited access for vehicles along north/south and east/west routes, and improved accessibility for people with disabilities. Councillor Hayward said all alternatives and changes would be considered once consultation starts on the broader Bank on Safety traffic scheme in December and that “nothing is off the table”. “I strongly believe that this scheme has enhanced the reputation of the City Corporation and made Bank Junction a far more pleasant and safer place,” he said. “We will continue to work closely with the Corporation on a range of measures to reduce road danger, clean up our air and create healthy streets for everyone,” she added. But the Licensed Taxi Drivers Association claimed banning taxis from the junction has added to congestion in the City, and accused councillors of failing to consider the impact on the Black Cab trade. 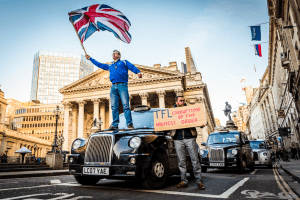 “Throughout the trial we have monitored its effects and found that excluding taxis from the junction has resulted in increased journey times and fares, as well as worsening traffic flows in the wider area,” the LTDA said in a statement. “Indeed, the reintroduction of taxis to the Junction was named by consultation respondents as the most popular suggested change to the scheme, demonstrating the public’s clear support for such an option.